Nigerian singer, Araola Apake, popularly known as Ara, has spoken on allegation that she is in a relationship with the Ooni of Ife, Oba Adeyeye Ogunwusi. Ara in a chat with Punch denied allegation saying Oba Ogunwusi is like a father to her not a lover. She also revealed that she is not his next queen. She said, “There is no iota of truth to such reports, please disregard them. 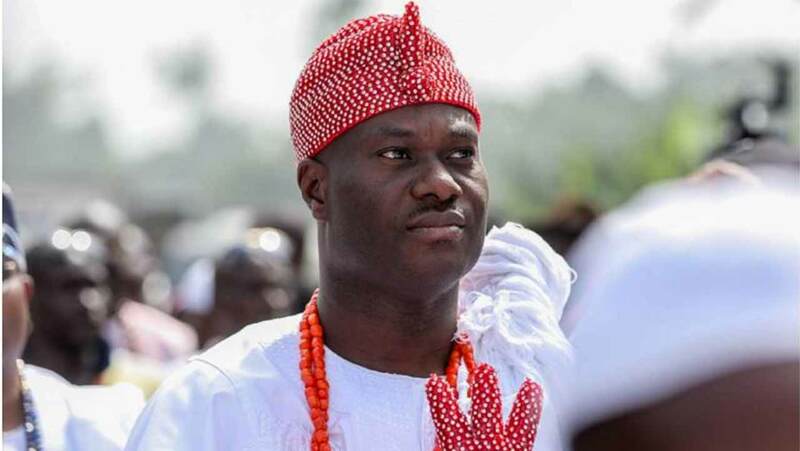 The Ooni is like a father to me, and he takes me as his daughter. There is no love affair between us at all. “The monarch is a very great lover of our culture, and it is obvious that he has done a lot to support and promote the Yoruba culture. I am also a cultural ambassador and the Ooni has lent his support to our cause. “I believe that there are a lot of potential in this country that can be tapped. If we harness the tourism potential of Nigeria, it would fetch the country more money than oil and gas. There are a lot of beautiful sites across the country that foreigners would love to visit, and with my foundation, I have decided to showcase the country’s beauty through movies and other forms of entertainment. “I am in a relationship at the moment, and my man makes me happy all the time. He has all the qualities that I want in a man, such as being God fearing, confident and caring. Even as I am talking to you now, you would notice that the tone of my voice has changed. That should tell you how happy he makes me, even in his absence,” she said.